As an all-new vehicle for the 2019 model year, the Corolla Hatchback replaces the 2018 Corolla iM. This sharp-looking vehicle is a new addition to the Corolla family, and will be sold alongside th Corolla Sedan. 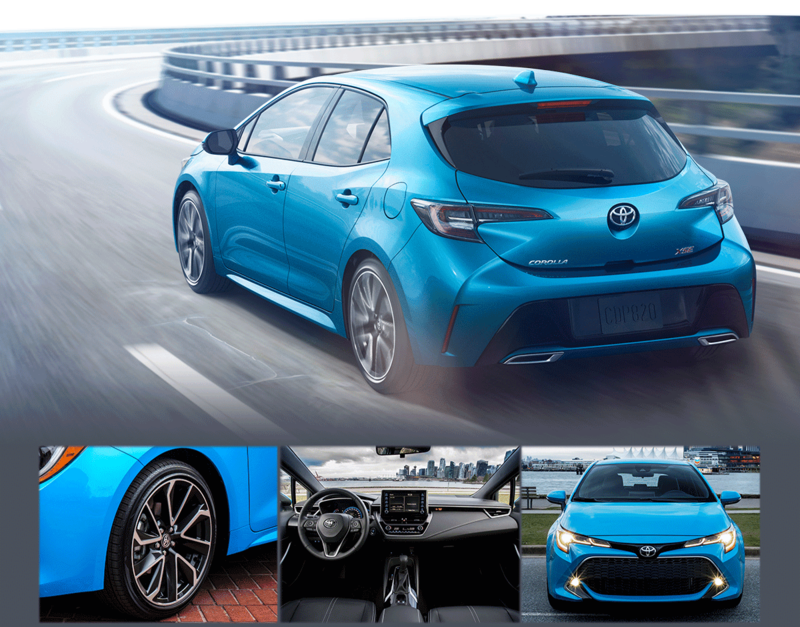 The Corolla Hatchback is also the first Toyota to offer TSS 2.0. Built from the bottom up, Corolla Hatchback is better in every way. It's lower, wider, and has a longer wheelbase compared to the iM, and it's absolutely packed with advanced new technologies both inside it's stylish cabin and under its hood. In addition to the enthusiast-oriented manual gearbox, a Dynamic-Shift CVT is also available for convenience. It's new 2.0-liter four-cylinder engine provides impressive power and fuel economy estimates. With its long list of safety equipment, the Corolla Hatchback is an obvious choice for new drivers. Its compact size makes it easy to maneuver, while the hatch and fold-flat rear seats provide enough storage space to haul everything you've got and then some. Meanwhile, its head-turning style and lively drivetrain and chassis ensure the ride is fun, wherever the road may lead. Combine all this with an approachable MSRP, and the ToyotaCare No Cost Maintenance Plan and Roadside Assistance, it's clear that the Corolla Hatchback is one seriously smart buy.